With polling day getting closer in the 16-Haflong (ST) LAC of Dima Hasao in Assam, the phase wise training of all polling officials were completed on Thursday. There are around 1160 polling officials engaged for duties at 242 numbers of polling stations, 71 sector officers and 13 zonal officers including reserve officials. An elaborate security arrangement has been made within the district for 67 police sectors and 11 zones as prepared for the peaceful conduct of the election process in Dima Hasao. More than 1200 security personnel altogether from five companies of CRPF and nine companies from Assam Police Battalions are engaged to ensure peaceful poll in Dima Hasao. 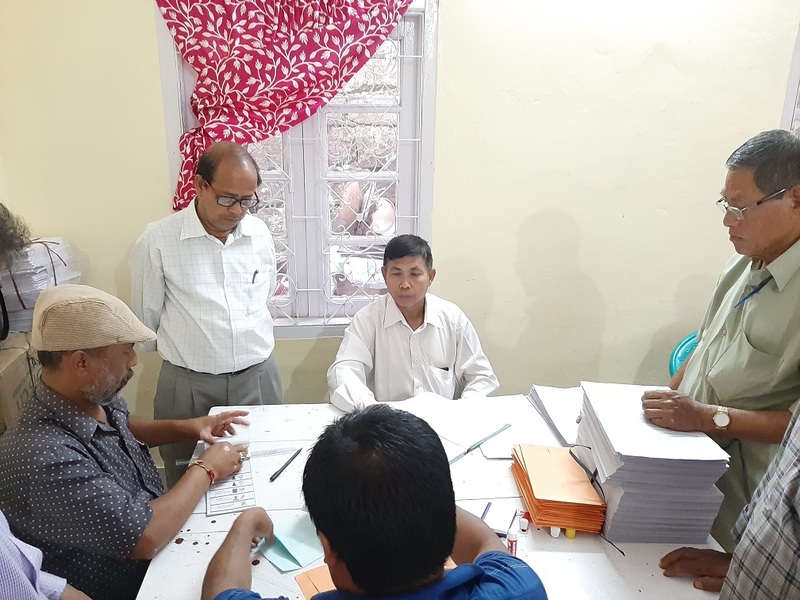 Around 2000 officials in Dima Hasao are engaged in various duties in the Lok Sabha election, polling for which in this segment falls in the second phase on April 18 next. To ensure that polling staff do not miss out on casting their votes, there is an election duty certificate (EDC) and postal ballot paper (PBP) cell. This cell is entrusted to receive the applications for issue of election duty certificate or postal ballot paper to those engaged in various cells during the election. Around 15 members have been trained and entrusted with the duty to look after this segment of service to the election staff members. Till the time of filing this report, around 357 are reported to have applied for EDC and around 225 for postal ballot. Around 120 officials of applications received are of those from outside the district posted in Dima Hasao and so far 16 numbers of applications have been received from those people from this district but residing outside Dima Hasao.